Calcium is an essential mineral required by the body to make the teeth and bones strong and to perform a number of other essential roles in the smooth functioning of the body. Calcium is important to maintain the structure and hardness of teeth and bones and is found in a number of foods and drinks. Calcium deficiency may lead to a number of problems including spasms in limbs, muscle cramps, abdominal cramps, etc. However, a new study has pointed towards the harmful impacts of consuming excessive calcium in diet, especially in the form of supplements like calcium tablets. The study has suggested that taking calcium supplements or tablets may double the risk of mortality through cancer. The study was conducted by researchers at Tufts University in the U.S. and the results were published in the Annals of Internal Medicine. The study titled, “Association Among Dietary Supplement Use, Nutrient Intake, and Mortality Among U.S. Adults: A Cohort Study”, was published on April 9th, 2019 and it talked about the potential health risks of consuming excessive dietary supplements. For the study, the researchers looked at answers about dietary supplement use, by 30,899 U.S. adults aged 20 years and older. The participants were followed for a median of 6.1 years and during this period, 3,613 deaths were reported. Out of these, 945 deaths were due to cardiovascular events and 805 were due to cancer. The researchers said that adequate intake of Vitamins A, K, as well as magnesium, zinc and copper were linked with a reduced all-cause or CVD mortality, but this was only true for only “nutrient intake from foods”. 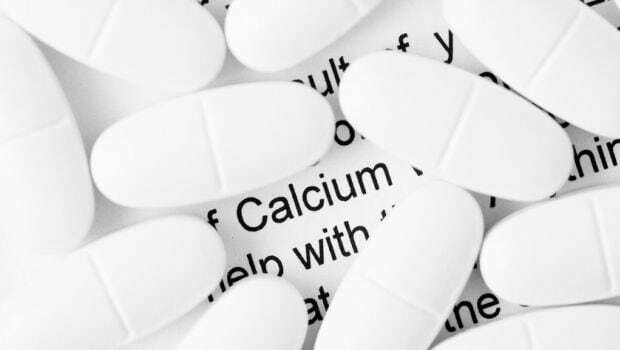 Excessive intake of calcium supplements was blamed for increased risk of cancer deaths, said the study. “Excess intake of calcium was associated with increased risk for cancer death.. and the association seemed to be related to calcium intake from supplements rather than foods”, said the study report. The report further said that consumption of calcium levels higher than or equal to 1,000 mg per day could be harmful and increase the risks of death due to cancer by double. The study concluded by saying, “Use of dietary supplements is not associated with mortality benefits among U.S. adults”. This basically means that consumption of dietary supplements may not reduce risks of mortality, but consuming minerals and vitamins through foods may lead to improved health.